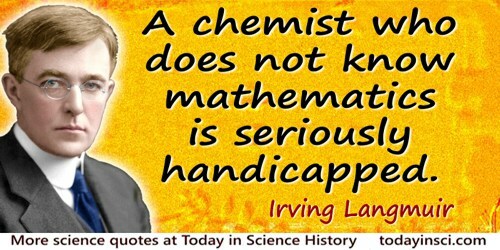 American physical chemist who was awarded the 1932 Nobel Prize for Chemistry, famous for his investigation of reactions at thin surface films. He improved incandescent light bulbs by filling them with inert gases rather than a vacuum, and also developed atomic-hydrogen welding. 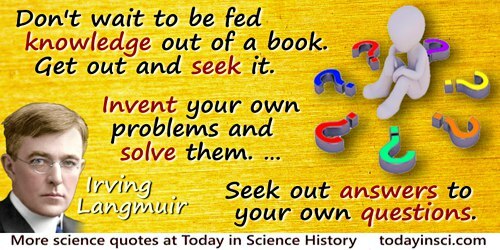 Langmuir is a regular thinking machine. Put in facts, and you get out a theory. Quoted in C. Guy Suits (ed. ), The Collected Works of Irving Langmuir (1962), Vol. 12, 6. 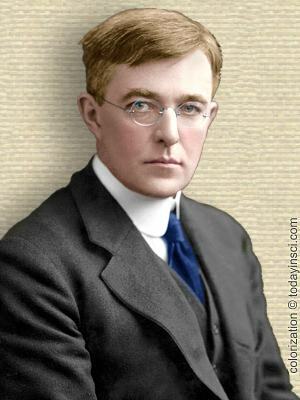 31 Jan - short biography, births, deaths and events on date of Langmuir's birth. Cathedrals of Science: The Personalities and Rivalries That Made Modern Chemistry, by Patrick Coffey. - book suggestion.